Hello September! (Wait…where did August go?) Well Fall season is calling and I’m so ready to swap all my tank tops and shorts for suits and jackets again. 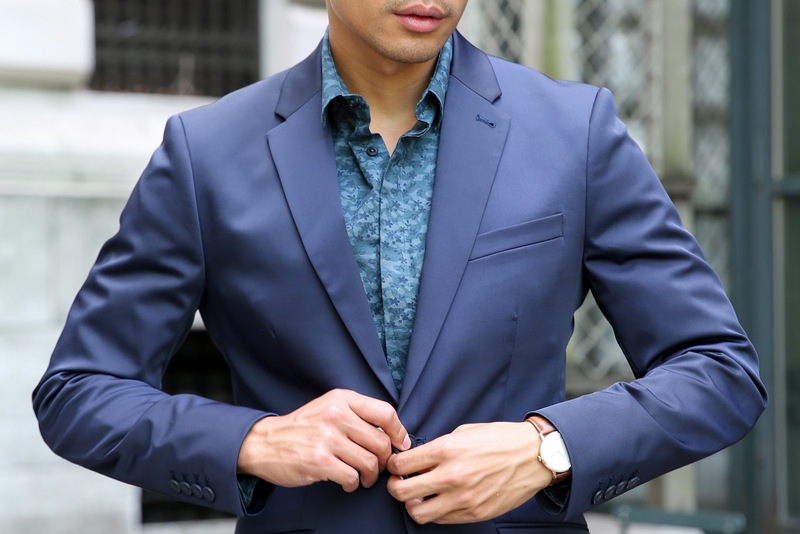 The Navy suit is an essential in any guy’s closet. 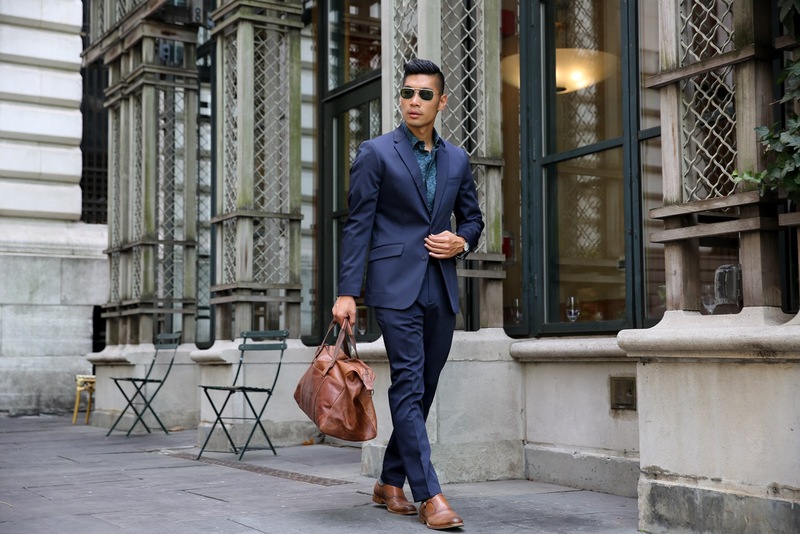 If there’s one suit you need, the Perry Ellis Very Slim Travel Luxe Tech Suit is it. 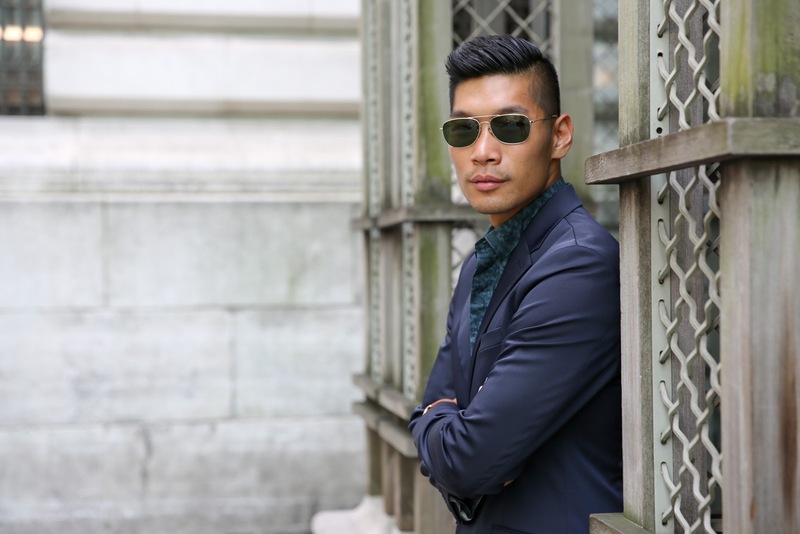 The Travel Luxe features a comfortable performance stretch fabric for me to wear on my travels. The slim fit suit fits me perfect off the rack especially the pants are slimmed and hemmed at the perfect length and width on my shoes. 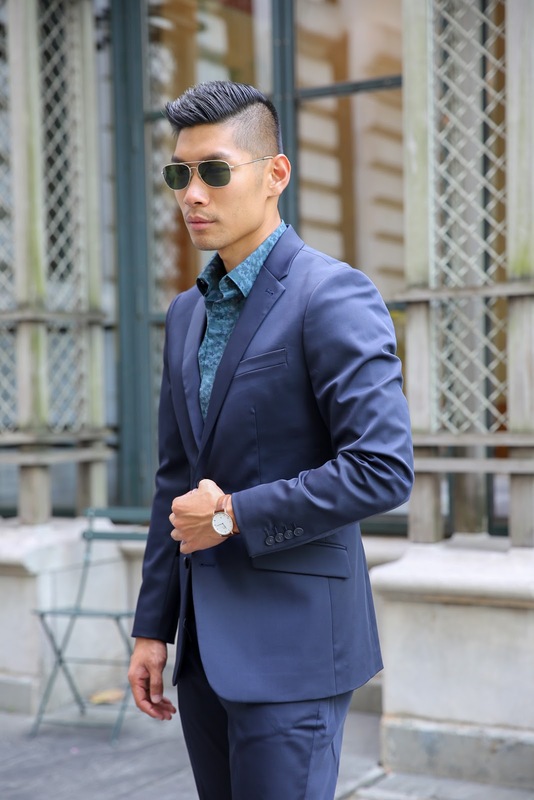 The suit keeps me looking fresh to and from the airport and straight to a meeting or cocktail hour. The suit also features hidden tech pockets with zipper to secure my important belongings like wallet, phone, documents so nothing gets loose and lost. This is perfect for me and my lifestyle right now since I’ve been constantly on the go from one city to another (NYC-Vegas-LA-NYC-RI-NYC-ATL). 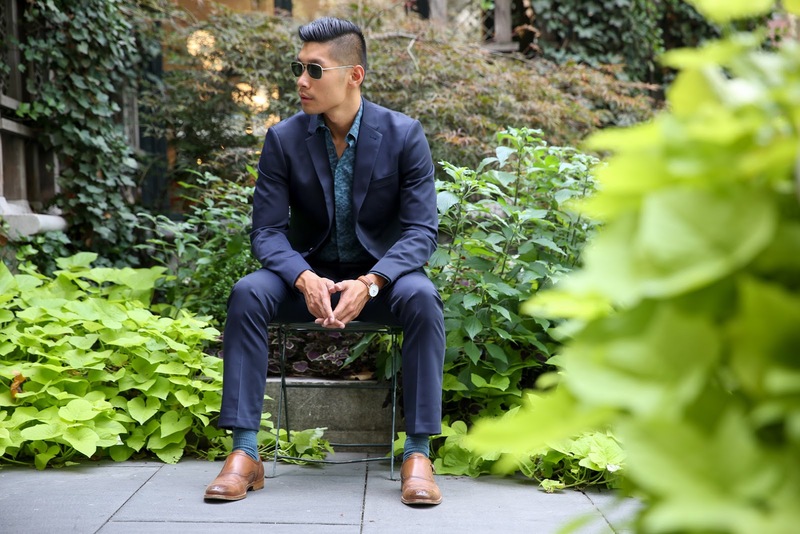 I paired the suit with the Slim Fit Floating Leaves Shirt, a nice complementing pattern shirt to go from day to night. The Dark Sapphire color is really Fall ready with the darker tones. 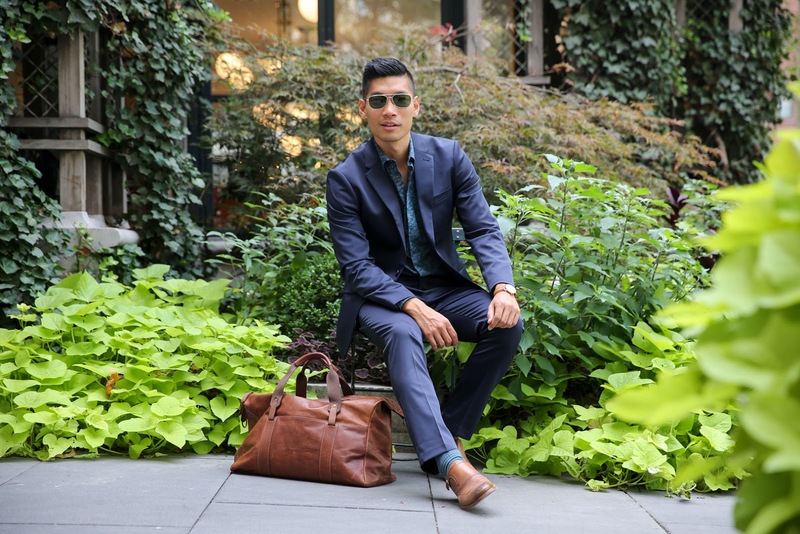 I finished off this great look with matching brown leather pieces like the classy watch, single monk strap dress shoes, and leather weekender bag.